A heartfelt exploration of the hopes, dreams, and everyday reality of a group of intersex and transgender friends in Kenya. Scottish filmmaker Tristan Aitchison visited Kenya in 2013 where a chance meeting with an activist revealed an underground network of intersex and trans people that wanted their voices heard. This film carefully weaves together the reality of a group friends fighting to survive on the edge of Kenyan society. Sidney grew up in rural Kenya, he didn’t like wearing skirts or doing chores that girls are traditionally supposed to do, preferring herding cattle and playing football. 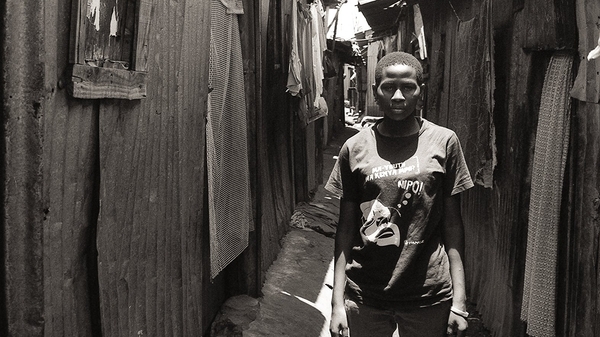 When he flees his family’s prejudice he meets a group of transgender friends in Nairobi. Together, they fight discrimination and discover life, love and self-worth. Welcomed into their community, Aitchison recorded six young people who bravely shared their candid stories. While things have gradually improved, Kenya still has various discriminatory laws affecting LGBT+ people and this moving story reveals what it’s like to live life as a targeted minority. Followed by a Q&A with director Tristan Aitchison. After the Q&A we will screen a short documentary by Bristol 24/7 which looks at LGBT+ history and its community from across the city.